Western Villa Complex is proud of Bac Lieu people. Tourists in Vietnam travel coming to the province located in Mekong River Delta will take the chance to admire the 20th century Western –style buildings. These buildings have spacious surroundings, symmetrical architecture, and tile-covered roofs. Unlike many other provinces, such as Can Tho and An Giang, there are still many western-style buildings include the villa of Bac Lieu Mandarin’s son, which stands along the river, and other buildings situated in the Hang Me Park, such as the Administration House, the court, the Bo Mansion (the building of the head mandarin) the Son quarter official building, and Dong Trach. Presently, these building are used for the provincial Library, the People’ Court of Investigation, and the office for the Bac Lieu Newspaper. The construction materials, including steel, marble, tile, and brick, were all imported from France. The 20th century Western –style buildings have spacious surroundings, symmetrical architecture, and tile-covered roofs. The roofs are octagonal, and the supporting rafters look somewhat like those in a pagoda. 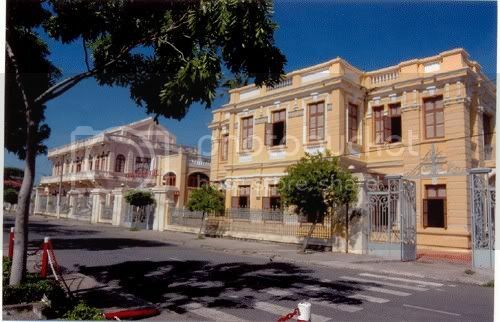 The old villas and mansions of Bac Lieu have their own style, quite unlike the French villas in Hanoi, Ho Chi Minh City or Dalat. In general, they feature high ceilings; their exteriors are washed with yellow paint, and they have high vault-like roofs. Nowadays, the Western Villa Complex which includes the 30 mansions and villas standing along the two banks of the river in Bac Lieu has become part of the heritage of Bac Lieu Province and the pride of Bac Lieu people.